Oahu’s premiere and only true beer festival has a new name and a new date, but it’s still going to be the same great festival. 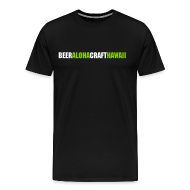 The Honolulu Brewers Festival, formally the Real Beer Festival, will take place on Saturday, April 18th, in Kaka’ako. This is the 3rd year of the festival put on by the great folks who own Real a Gastropub and Brew’d Craft Pub. Full details on tickets below. One great addition this year are designated driver tickets. Brewery, beer and food lineups to come in the following weeks. 2:00 p.m. to 6:30 p.m.
Tickets are $70.00 each plus processing fee ($4.84) which include an event beer glass, ten 4 ounce beer tasting coupons and samplings of beer centric food dishes. Tickets will be limited to 2,500 and last year the event sold out. Additional beer tasting scrip can be purchased at the event for $2.00 each. Limited tickets are also available at REAL a gastropub and BREW’d craft pub from March 2, 2015. A leisurely afternoon with vendors and live entertainment from classic rock, soul, R & B, groove-centric, soul-istic, and funk-tastic sounds. Hosted and presented by REAL a gastropub and The Victoria Foundation, Inc. (a local 501(c) 3 nonprofit). A benefit for the Hawaii Agricultural Foundation (HAF). Tickets for non-drinkers are available for $20.00 plus processing fee ($2.09). The Honolulu Brewers Festival is proud to support designated drivers who attend the festival to ensure a safe ride home for their friends. A designated driver ticket holder will have a different wristband and receive a bottle of water as well as access to food from 20 restaurants. Designated drivers do NOT receive a tasting glass and are NOT permitted to sample any beer. Must accompany a paid attendee. Any designated driver seen drinking will be removed from the festival immediately. Designated drivers must be 21+ and present valid photo ID for entry. All sales are final. No refunds. Ticket price will only be refunded in the event of festival cancellation. You must present a valid photo ID (driver’s license, passport, military ID) at the door. The name on this ID must match the name on the ticket and show that you are 21 or over. If you need to transfer a ticket because you are unable to attend, you can do so througheventbrite.com or notify us by email. Absolutely no one under 21 will be admitted. This includes children in baby carriages and this is for their safety. No coolers, large backpacks, frisbees, footballs or any other flying objects. Guests must be 21 years and over, NO refunds on Ticket Purchase and MUST be 21 or over. MUST present a valid ID no matter what age. HAF’s mission is to support and sustain Hawai‘i’s agricultural industry by addressing critical needs and services of farmers and the agricultural industry in Hawai‘i, and by better connecting the farmers with the community and vice versa. This involves educational and outreach programs in the community as well as direct marketing, technical, educational and in-the-field support for farmers. 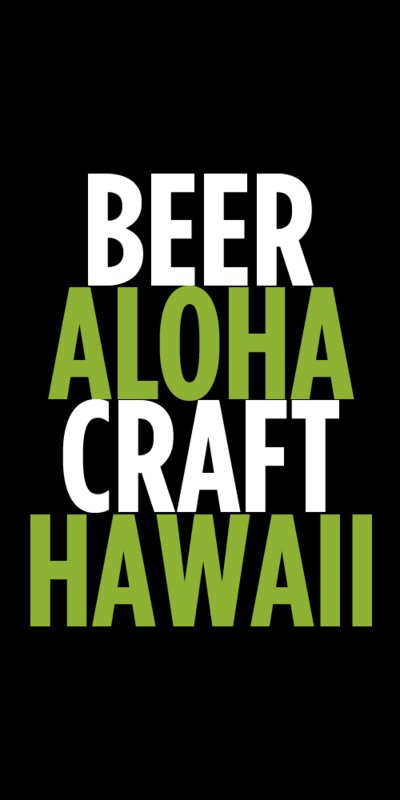 Please join us for this festival showcasing the ever growing popularity of craft beers in Hawaii. Guests are encouraged to bring their beach chairs and relax on the grass lawn. REAL a gastropub, Hawaii’s first beer-centric pub, is located at the Ward Farmer’s Market at 1020 Auahi Street, Honolulu, HI 96814. Telephone 808-596-2526, www.realgastropub.com. Open Monday to Saturday from 2:00 p.m. to 2:00 a.m.
BREW’d craft pub is located at 3441 Waialae Avenue (corner of 9th and Waialae Avenues), Honolulu, HI 96816. Telephone 808-732- 2337(BEER), www.brewdcraftpub.com. Open Monday to Saturday from 4:00 p.m. to 2:00 a.m. Tags: festival, festivals, Honolulu Brewers Festival, Real Beer Festival. Bookmark the permalink. Tickets are not on sale yet. Check the dates in the article to see when they go on sale. Only 10 tasters for $70??? Isn’t that a bit steep? At the Great Alaska Beer and Barley Wine Festival you got 30 tickets for $45 and they had over 200 beers… Will there be a beer list made prior to tickets being sold? Beer list coming soon. 10 tickets is a fair amount. 30 tickets for a barley wine festival is irresponsible and asking for people to get ridiculously drunk. It’s a beer fest not a drunk fest. The question was about the opinion of price. $7 for each 4 oz sample of beer? That is is pretty steep. I understand wanting to keep the riff raff out but jeez. And the Alaska Beer And Barely Wine Festival was awesome. We had the fortune of attending the event three times while we lived in AK. Great value, great (mostly AK) beer. What is this, a wine festival? Who goes to a beer festival for unlimited food? Looked up a few beer festivals (Atlanta Beer Festival $30, Unlimited beer, American Craft Beer Fest $53, Unlimited beer, Extreme Beer Fest $55, Unlimited beer) and their prices and only found the GABF price to be close to this one. The price was $80 FOR 2,800 beers 1 oz UNLIMITED POURS!!! Let’s just agree that the price is steep. I’m sure it will sell out b/c where else are people gonna go for this kind of scene? I don’t mean any disrespect with my comments btw. Again, the price for that little beer is expensive. Daniel. This is a great price, and it’s for charity. Kona Beer Festival this year is sold out at $75 for 8 tickets. Many festivals in California are $60-$100. This is a great value. What is this, a Whine Festival!? Just drink at home by yourself. $70 of barleywine at Wholefoods and don’t forget the guac. Kona Brew Fest and Maui Brew Fest are both in the $70 range. This ain’t the mainland, get used to it…nobody forcing you to go. Wow, that comment was really uncalled for. Really mature, but you can get away with that on the Internet. I was trying to have a civil discussion. But someone was gonna say it. Thanks @tonloco for pointing out it was for charity. I would think that would have been the first response to my question/opinion of the high ticket price b/c that totally explains it. Festivals are expensive to put on, even more so in HI. On the mainland a lot of festivals get breweries to donate kegs. That is much harder to do in HI since there are far fewer local breweries and most of the mainland breweries can’t or won’t donate specialty beers to a festival so far away. So, the festival organizers end up purchasing kegs. They do this to insure that we the craft beer fans have really cool, unique and one of a kind beers to sample at the festival. This costs a lot. Factor in paying restaurants to supply food, entertainment, location fees, security, etc., etc., the cost goes up really fast. The organizers go out of their way to try and get beers that you won’t normally find on the shelves for this festival. They are not jacking up the price just because this is for a charity. Yes, you can go to cheaper festivals in other cities, but it’s not an apples to apples comparison. Cool man, tks for the post. Again, I didn’t mean any disrespect or try and cause an argument. I was comparing to AK where things tend to be pretty expensive, much like HI. However, there are quite a few more local breweries up there, so I can see that making the difference too. Cheers. Great price, and it all goes to charity! Way to go guys, great value. All of the festivals in San Diego are $60-$100. I would gladly save the $30 to drink in Hawaii.